When you first move to Australia, one of the things you will have to do is set up a bank account and organize your finances. Below is our guide to the essentials of banking and finances in Oz. Once you have an Australian bank account, you can conduct most of your banking online or on your mobile via a bank’s app. Employers pay their employees either weekly, fortnightly or monthly. Weekly and biweekly payments usually occur on a Thursday and monthly payments towards the end of the month. The currency of Australia is the Australian Dollar (A$), where 100 cents equals one dollar. Australia does not have ‘copper’ coins – 1c and 2c pieces – so all cash transactions are either in multiples of 5c or rounded up or down to the nearest 5c. Payments made by credit or debit card will be charged exactly. For example, if you buy petrol and the amount is $50.67 AUD and you pay by card, you will be charged that exact amount. If you pay in cash you will be charged $50.70 AUD. Salaries are paid directly into bank accounts, so setting one up sooner rather than later is highly recommended. Many of the larger banks allow you to open an account up to three months before you arrive in Australia, although you will still be required to attend a branch in person and present the appropriate identification to activate the account. The four largest banks in Australia (known as the ‘big four’) are Commonwealth Bank (CBA), Westpac (WBC), Australia and New Zealand Banking Group (ANZ) and National Australia Bank (NAB). 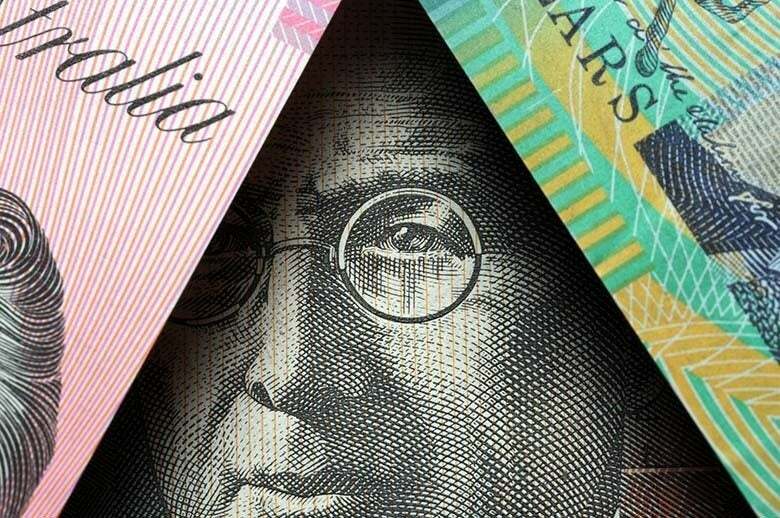 There are dozens of other banks, such as BankWest, Bank of Queensland, Bendigo Bank and St George, some of which are owned by the ‘big four’. Bigger banks have more high street branches, which you may need to take into account. The process of setting up an account is easy, though you will have to plan ahead as some may request that you arrange an appointment. Australia generally uses a 100-point identification system, which includes photographic identification such as a passport, licence or identity card, birth certificate, student card, proof of employment, utility bill etc. Points are allocated to the types of documentary proof of identity that the person can produce, and they must have at least 100 points of identification to be able to operate an account. When you open a bank account you will be sent a debit card, which can be used to pay directly for items in shops and to obtain cash from cashpoint machines (ATMs). These machines are widely available in all high streets and at many garages and shops. However most ATMs charge for withdrawals (up to $3 AUD per transaction) so it’s best to find a bank with lots of its own ATMs or one that allows you to use certain other banks’ machines free of charge. A confidential PIN number is provided by the card issuer and must be entered every time you use an ATM. Transactions made by debit and credit cards use a system called EFPOS. Accounts have varying names in Australia and you can use one card to access and pay from multiple accounts. These include a ‘cheque account’ and ‘savings account’, which are both essentially current accounts, as well as your credit account. These can have different PINs if you prefer. When you use an EFPOS machine, it will ask you which account linked to the card you wish to use to pay for goods. PayPass (or ‘contactless transactions’) is a relatively new system which enables you to touch your card to the EFPOS machine without having to enter your PIN. It works for amounts up to $100 AUD only. BPay is an easy way to pay utility bills, credit cards and other charges, such as vehicle registration. All big companies and government departments have a BPay option, which you can set up on your bank account. The organization’s BPay code and your individual account number is on the back of your bill. Once set up, the company is listed on your account and regular payments are easy to access, including payment histories. There are dozens of credit card options using VISA and Mastercard available through Australian banks. Interest rates vary and sometimes can be as high as 29%, although there are usually good introductory rates or interest-free balance transfers, so if you do decide to take out a credit card, shop around for a good interest rate. Money transfer orders and electronic transfers can be arranged via your bank. Transactions each way incur a fee of around $20 AUD. The Australian Tax Office (ATO) administers tax. The tax-free threshold for each individual in Australia is $18,200 AUD and tax is levied on the remaining income. This does not include Medicare levy of 2% and the Temporary Budget Repair Levy (payable at 2% for taxable incomes over $180,000 AUD). In general, expect to pay around one quarter to one third of your income in tax. Every employer in Australia must contribute to a superannuation fund on their employees’ behalf (with small exceptions for low levels of work). This is at a rate of 9.5% of a person’s earnings and is paid over and above your salary. You can choose your employer’s super fund or pick one of your own. If you contribute more to your fund, the Government will make a ‘co-contribution’. Super funds charge administration fees and invest your money in different ways so it is best to do some research. You cannot withdraw money from your super fund until you are 60 years old.